In case you haven’t heard, The Wizarding World of Harry Potter at Universal Studios Hollywood has already begun its technical rehearsals in the lead-up to its April 7 grand opening. 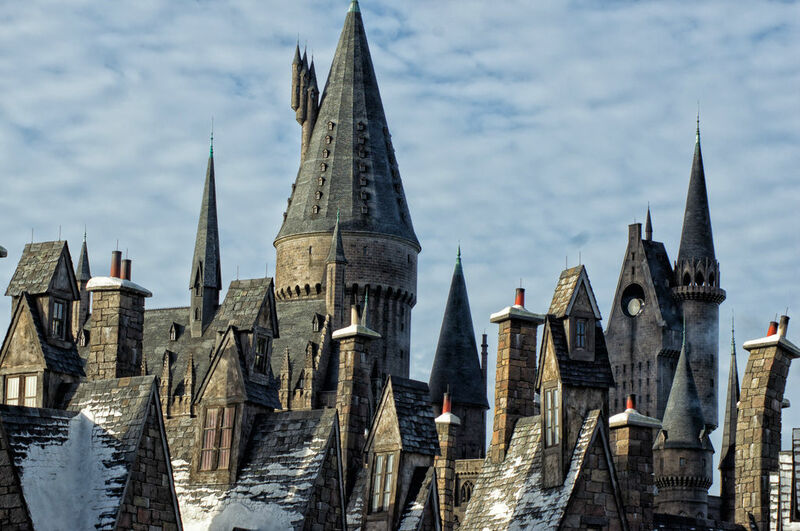 After five years of rumors and speculation about what, exactly, this third iteration of Hogsmeade would entail, the theme park community can finally take inventory of what has made the transition – and what hasn’t. It’s enough to make one giddy like a Hogwarts school girl, but it’s also enough to make one appreciate all the more just what is exclusive at the original Orlando location. What’s that, you say? You didn’t know that there were “exclusive” differences between Islands of Adventure and USH? Why, yes, in fact, there are – Universal long ago announced that each Wizarding World across the globe would have at least one specific experience that wouldn’t be available at its other two brethren, and while none of these has turned out to be anything mind-blowingly large (not like, say, the hypothetical Hogwarts Great Hall restaurant that was rumored to be coming to California), they do appreciably add to your overall experience in the Wizarding World. 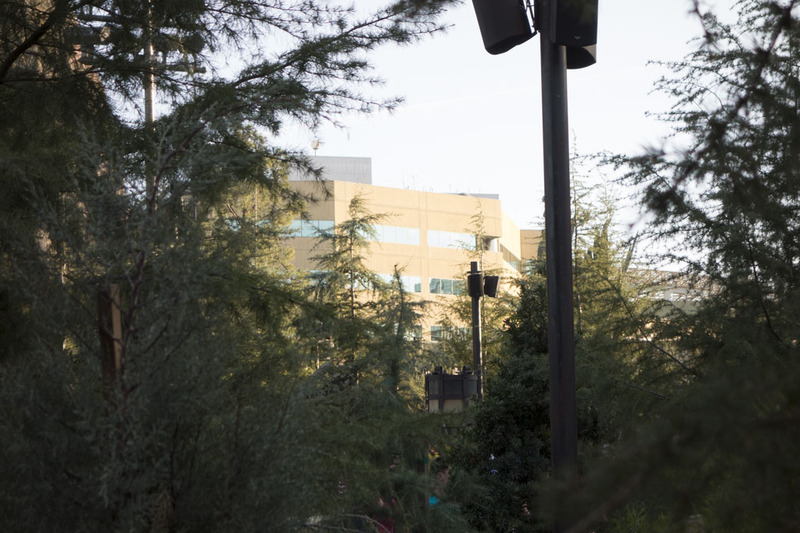 While we’ve already provided a walk-through tour of Harry’s new digs in Universal City, it’s worth going a little more in-depth into these specific points of departure. Universal Studios Hollywood’s Hogsmeade is an interesting amalgamation of the locations in both Orlando and Osaka: it features (mostly) the same basic layout, including the locations of shops, as Universal Studios Japan, but it also steals an extra attraction from Islands of Adventure (as well as a few of that park’s immersion difficulties). So which is the definitive version? The conclusion we’re forced to make is that Universal Orlando Resort holds the title for best assortment of attractions – it all but has to, given that The Wizarding World of Harry Potter – Diagon Alley can also be found exclusively there – and that Japan wears the overall theming crown. While this might make Hollywood sound like it’s the worst of the three, that’s actually far from the truth, and this newest iteration still holds a couple of specific touches that make it a must-visit for muggles everywhere. Enough with the generalities – let’s get down to brass tacks. Whereas Universal Studios Hollywood’s and Islands of Adventure’s Wizarding World contain both a “front door” and “back door” (the latter of which leads to Jurassic Park in Florida and Springfield in California), Orlando has an extra transitional area in front of its main entrance that acts as a buffer from the preceding land, helping the theme to breathe a little more easily; the West Coast features a much more jarring transition, which is to be expected, given how absolutely cramped for space USH is. It’s a minor point, but an important one, nonetheless. The real heart of the Wizarding World, of course, lies not with rides or photo-ops but with stores, which Universal has transformed into the next generation of theme park design. On paper, Universal City wins out in this category, as it features three additional stops: Zonko’s Joke Shop, Gladrags Wizardwear, and Wiseacre’s Wizarding Equipment. In reality, however, these extra stores all feature inventory that can be readily found in Orlando’s Diagon Alley – at Weasleys’ Wizard Wheezes, Madam Malkin’s Robes for All Occasions, and, well, Wiseacre’s, respectively. This is a deft move by Universal, allowing some of Universal Studios Florida’s expanded wares to be able to trickle on over to Universal Studios Hollywood. 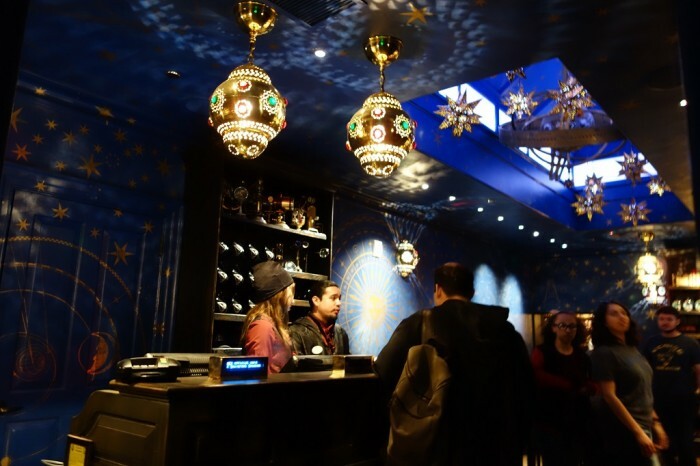 In the plus column, California sees a definite improvement in Ollivander’s Wand Shop, which features an extra show room, an expanded merchandise area, and, even, a clock that counts down to the next the-wand-picks-the-wizard show. On the minus side, however, its version of Zonko’s is just a pale version of what Islands of Adventure’s used to feature before it was closed down and its inventory moved on over to Weasleys’ Wizard Wheezes – it’s literally just the back wall of Honeydukes. The East Coast Hogsmeade features two rides that can’t be found anywhere else in the world: Dragon Challenge, a massive roller coaster that is actually two different tracks intertwined together, and the Hogwarts Express, a real (well, “real”) train that travels from Islands of Adventure to Universal Studios Florida (in fact, this is what necessitated the creation of the transitional area, as passengers disembarking from Hogsmeade Station can remain within the Harry Potter theme while working their way over to Hogsmeade’s front door). While this is something of a major loss for USH, it is somewhat mitigated by West Coast guests not having to see Dragon Challenge’s hulking track overshadow most of the land – a real point of pride for some die-hard theming nerds. But just as the new version of the Wizarding World successfully plussed Ollivander’s, it did the same to the flagship wizarding ride, Harry Potter and the Forbidden Journey, adding 3D and tweaking what is arguably the ride’s climax, the Dementor attack, adding more figures and actually giving them hands that reach out to grasp at riders. (In both of these instances, Hollywood defaulted back to the intitial ride design that Orlando originally came up with but was forced to cut due to one technical problem or time constraint or another.) In the interest of full disclosure, however, it should be noted that Florida’s Forbidden Journey is rumored to be getting the 3D makeover later on this year. 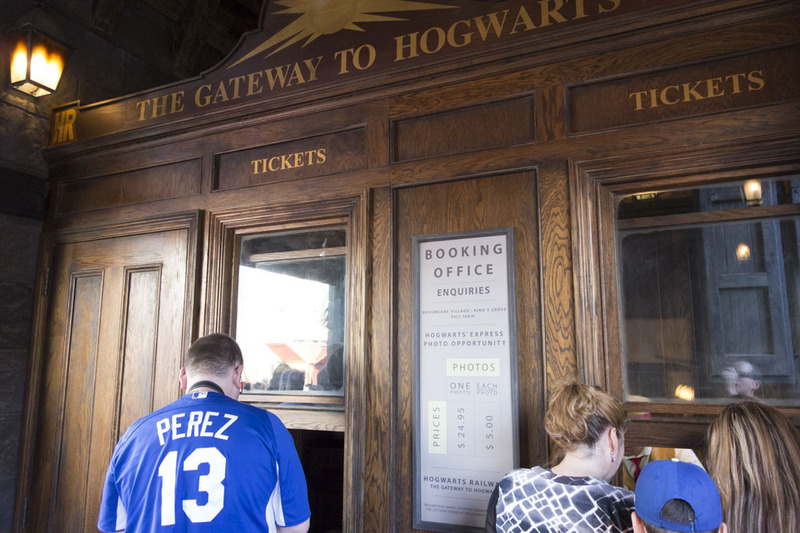 With the changes to Ollivander’s Wand Shop already having been discussed, that leaves just two further attractions that can’t be found at Universal Orlando Resort. First up: the interactive wand experiences that were added to Islands of Adventure’s Hogsmeade two years ago, when Diagon Alley bowed. 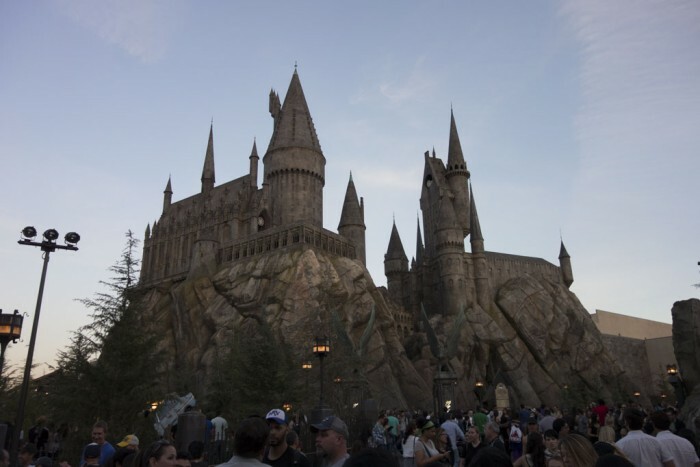 Universal City has added at least two exclusive experiences – one in the general area where Dragon Challenge exists in Florida, and one in the Sirius Black “wanted” poster outside of The Three Broomsticks. Although it may not seem like much, being able to interact with the lavishly detailed village in such a fashion immeasurably adds to a muggle’s overall enjoyment of the land, and given that these additions can only be found at USH, it gives the third Wizarding World a true global exclusive – not bad at all. 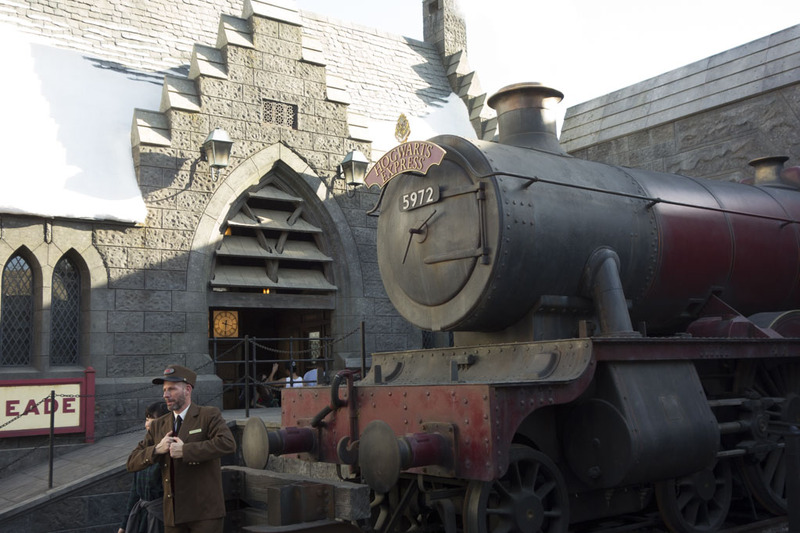 Secondly, in place of where Dragon Challenge’s lockers are in Orlando, a Hogwarts Express photo-op has been installed, allowing guests to have their picture taken within a mock-up of one of the famous train’s cars – replete with real props from the film series. 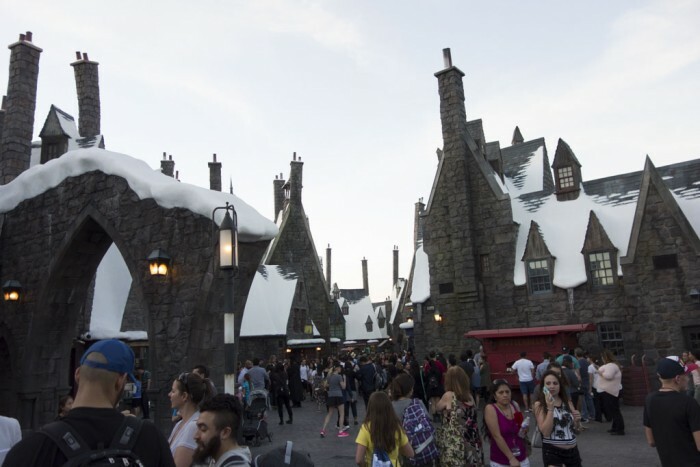 As noted previously, Universal Studios Hollywood borrows heavily from Universal Studios Japan’s rendition of Hogsmeade, from the 3D Forbidden Journey to the expanded stores to the Hogwarts Express photo-op. The main differences between the lands – and between Osaka and Orlando, to boot – lie purely within the realm of design, aesthetics, and, therefore, immersion. These changes are immediately noticeable upon approaching the land, as Islands of Adventure’s transitional area has been greatly expanded upon, stretching from just a tiny sliver of land into a long(ish) corridor that leads through the Forbidden Forest (and where Mr. Weasley’s enchanted car has been relocated to). And it doesn’t stop there – this entrance serves as the single entry point into the Wizarding World, meaning that the land is completely cut off from the rest of USJ (and largely doing away with the unsightly “bleedover” problems that both Florida and [moreso] California suffer from, where other attractions and areas of the parks are decidedly noticeable from within the confines of Hogsmeade). 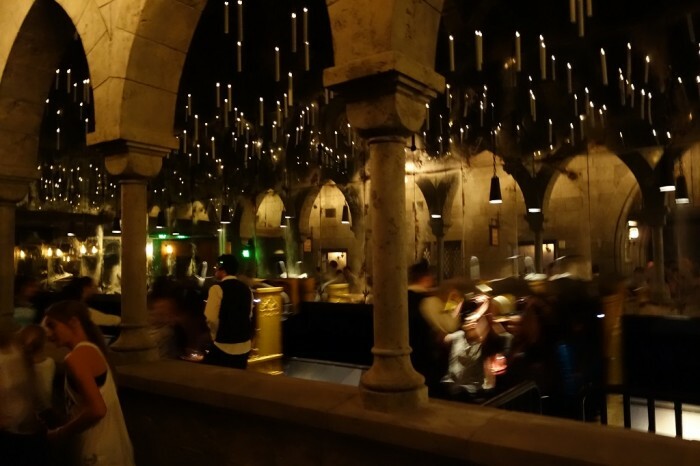 And the coup de grace: the Black Lake from both the novels and films has been recreated next to Hogwarts Castle and has even been populated with real owls, adding to the feeling that guests truly have been transported to the famous, millennium-old castle and its crazy, magical surroundings. 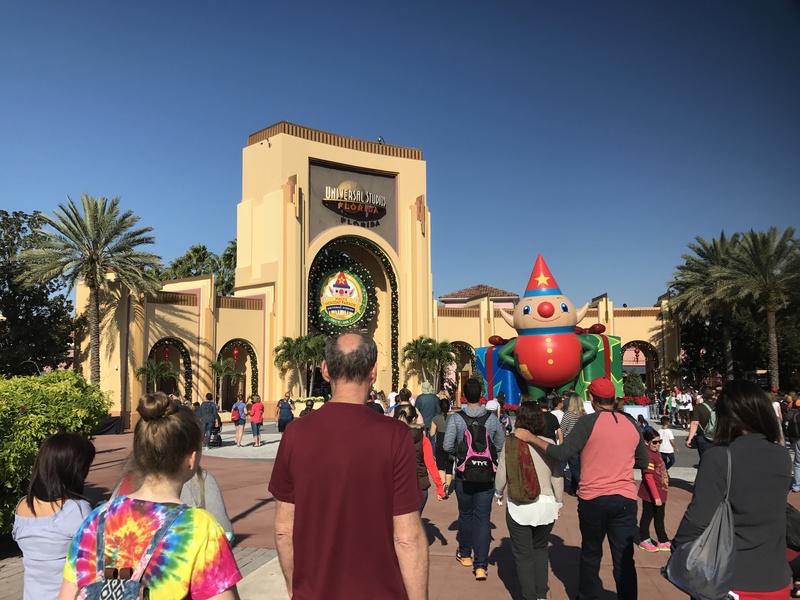 Marc N. Kleinhenz is a freelancer who's written for 27 sites, including The Huffington Post, Theme Park Insider, and Orlando Informer, where he is the contributing editor. He owns his own ebook publishing company, has co-created and -hosted two podcasts, and has even taught English in Japan. Thank you for your analysis. Just as I feared, I am not interested in my local version (Hollywood). I guess I will keep flying to Orlando to visit the version I love.